Opening: Hey Wall! You are BIG! A city block BIG. My city block. A boy strolls past an abandoned city wall on his way to school. It is blue, full of cracks and ugly. He calls out “Hey, Wall!” Near the wall is a lively neighborhood busy with life, music, chatter, and laughter. He stares at the empty wall until one day he decides to take action. He gathers his pencils, paint and decides to make the wall special. The boy enlists the support of his friends, family and neighbors. Young and old work together to breathe life back into the wall. They bring their sketches, memories and imaginations to create something new on this big blank canvas. How will they transform their wall? Susan Verde has written an inspiring story that empowers kids to use their voices when they see how they can make a difference in their community. The story also celebrates the life of this busy town and how coming together to support each other, boosts community pride and relationships. It also shows that walls aren’t dividers, but can bring people together to serve a greater cause. I especially like Verde’s use of free verse in this urban setting. It works well with the folksy artwork of John Parra. 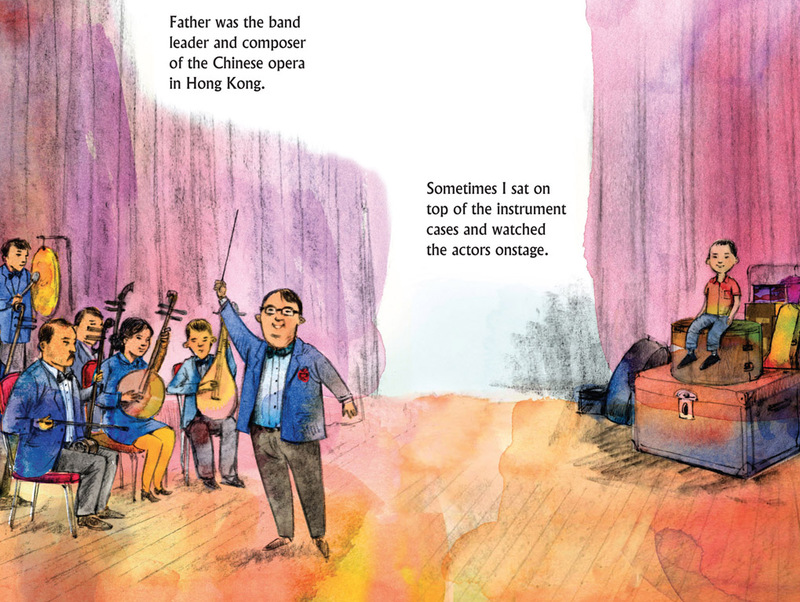 His colorful acrylic illustrations really make this story shine. The final page reveals the wall’s transformation and how it represents everything special to the community. 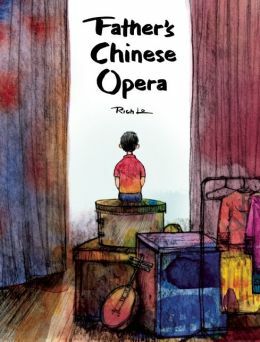 This is an excellent classroom read-aloud and discussion book. It will easily support art school curriculums and encourage creativity. 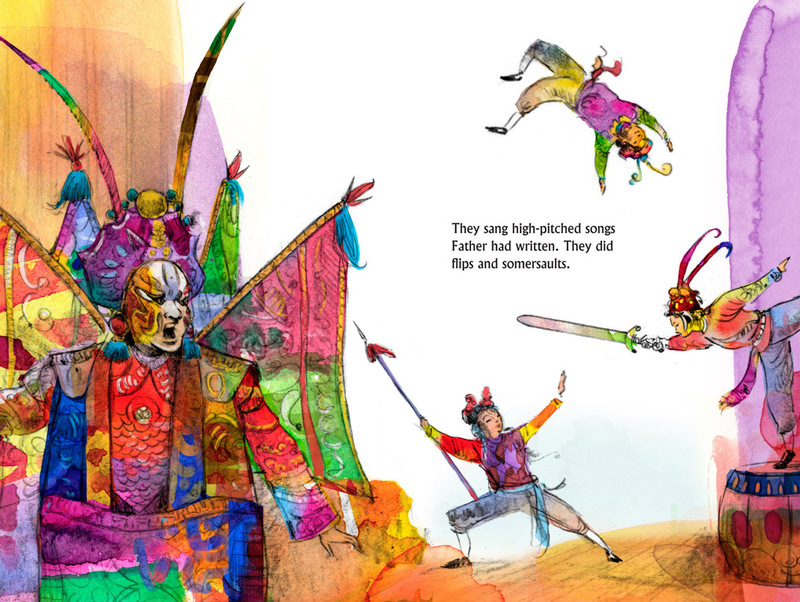 Make sure you check out the author and illustrator endpapers, because they give insight into the inspiration behind this story and information about the history street art. Visit Susan Verde and John Parra at their websites. Resources: Use this book to encourage kids to think about ways they can help their community. There may not be an empty wall, but teachers can encourage students to work together to make a paper mural that represents the personality of their classroom. Susan Verde’s first picture book, The Museum, illustrated by Peter H. Reynolds, was a Bank Street Best Book of the Year. Her other books include You and Me, I Am Yoga, The Water Princess, I Am Peace, and Rock and Roll Soul all illustrated by Peter H Reynolds; as well as My Kicks illustrated by Katie Kath; and Hey, Wall illustrated by John Parra. Susan is a former elementary school teacher with a Master’s degree in reading remediation. In addition to writing books Susan teaches yoga and mindfulness to kids (and adults) of all ages. She lives in East Hampton, New York, with her three children. “Creating…Connecting…Collaborating…Sharing” is the theme for this year’s International Dot Day. Celebrated the week of September 15th-ish, over 3,786,213 children have signed up since 2014 from 115 countries. They will celebrate in their classrooms and individually. September 15, will be the 12th anniversary of Peter H. Reynold’s international bestselling book, The Dot, about a girl who doesn’t believe she can draw. The book has been translated and published into 12 different languages and braille. Iowa teacher Terry (T.J.) Shay, who held the very first Dot Day celebration in 2009, has been the motivational force behind this extraordinary annual event. Each year teachers and students continue to take International Dot Day to a new level, using many ways to connect and partner with teachers and students in all 50 states and 112 countries. 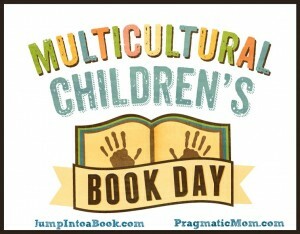 This is truly a global event where children are connecting the dots with each other around the world. If you are a teacher, homeschooler or parent who wants to get involved in this incredibly powerful event, there is still time to enroll your students and children. Visit the International Dot Day site for all the information and resources you will need to get started, inspired and connected. Teachers, make sure you check out the special section Skype in the Classroom and view the sections on Find a Lesson, A Teacher or Mystery Skype. Many teachers have posted requests to partner with other schools. Teachers may want to check out this cute video to use after they read The Dot. Singer song-writer Emily Dale collaborated with Reynolds to create the lively The Dot Song, which includes a hand motions guide. 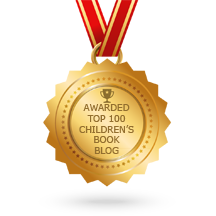 Challenge: I encourage many of my author friends who’ve published books to check out the Celebri-Dots and submit your own special dot. 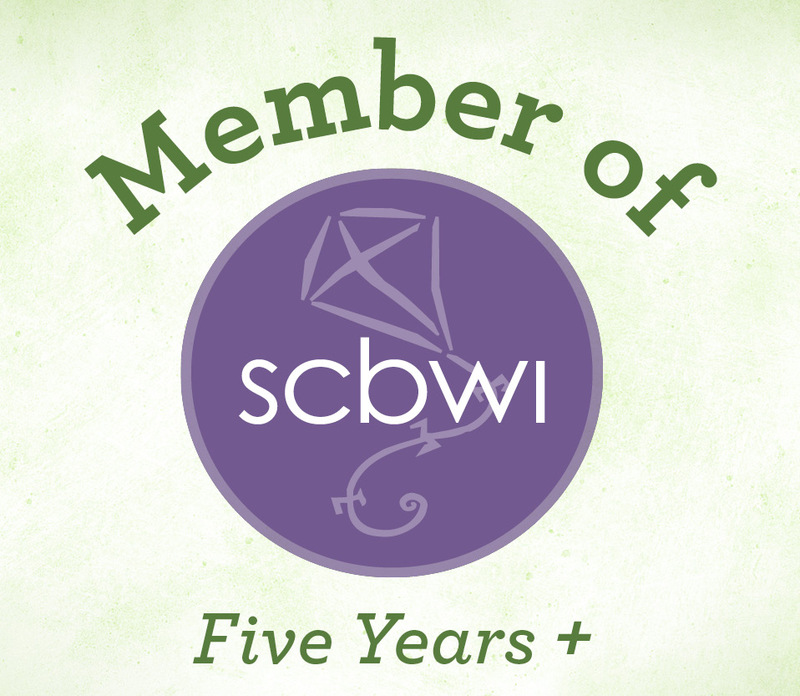 To my KidLit blogging friends who are such outstanding artists and always sharing their artwork, please consider posting a dot on your website September 15th-ish. 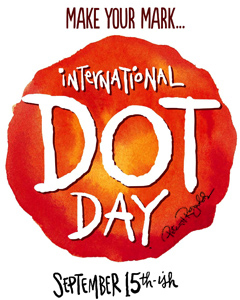 Many of you are wonderful poets and may find a calling in writing a poem about Dot Day, along with a dot. There are no right or wrong ways, only a lot of creative fun! Visit the Dot Gallery for inspiration. I will post my dot on September 15. Please check out my friend and blogging colleague Beth Stilborn’s post on International Dot Day. Beth shares many of the dots she’s created each year and tells Vashti’s story in The Dot. Peter Reynold’s will officially kick-off International Dot Day on Saturday, September 12 from 11-2 p.m. at The Blue Bunny, in Dedham, MA. Reynolds hopes a lot friends will join him to “make their marks.” Everyone is encouraged to wear dots that day. Book Jacket Synopsis: When Hana announces that she’ll be playing violin in the school talent show, her brothers laugh so hard they nearly fall out of a tree. But Hana doesn’t let that stop her — she practices and practices, inspired by memories of the time she spent in Japan with her ojiichan, a professional violinist. But when the day of the performance arrives, will she be able to overcome a sudden case of nerves? 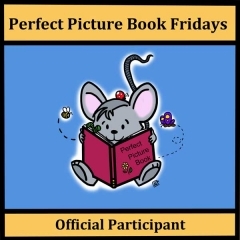 Why I like this book: This is a charming and creative story from author Cheri Uegaki. Hana is a sensitive, yet spunky and determined character. Many children will easily relate to the teasing from siblings, the jitters of performing in a talent show, and the courage to try anyway. No matter how much Hana’s brothers think she is “loopy,” she practices and perseveres despite everyone’s doubts. She remembers listening to her ojiichan (grandfather) play the sounds of chirping crickets, squawking crows, plucking rain, and squeaking mice. 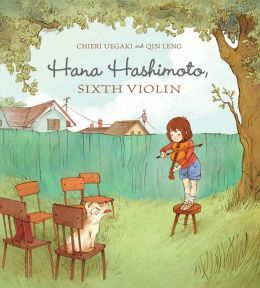 These memories help Hana to find her own way of playing her violin and making the performance her very own. Kids will cheer for Hana. Quin Leng’s illustrations are warm, whimsical, playful and capture the personality of each character and the tone of the story. Her pencil and digitally colored illustrations include details of both Hana’s Japanese and American life. Resources: Introduce your child to music, take them to a children’s symphony so they can hear the various instruments. Encourage them to try an instrument in their school music program. Let them decide what instrument they would like to play. 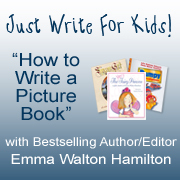 Encourage young children to play a harmonica, drums, a kazoo, or a marimba. Synopsis: Lucy and her family (and Mama’s chickens) pack into an old Volkswagen bus and travel across Minnesota to spend the summer with her Aunt Frankie in North Dakota. They time their annual visit to help Aunt Frankie plan for the flooding of the Red River. When they reach the Red River, it is high and flowing fast. Lucy’s mother, Maggie, remembers the dangers from her childhood. Lucy has a secret. Everyone in her family sings, but she can’t. Her father, Boots, loves opera, her mother likes Langhorne Slim and her younger sister, Gracie, sings in a high perfect voice. When Lucy opens her mouth nothing comes out. Even her little brother Teddy, who can’t talk, can sing. He sneaks into her bedroom at night and coaxes Lucy to sing with him. His sweet “la la la’s” are pitch perfect and no one knows but Lucy. As the flood waters recede and the house is safe, another crisis occurs when Teddy turns up missing. Will Lucy find her voice and save him in a way no one else can? Why I like this book: With the heavy rains and major flooding we are experiencing across the country, Patricia MacLachlan chooses the perfect time to release a new book for children about this phenomenon of nature. It is a story that touches the readers emotions. I love the quirky nature of Lucy’s family, the secrets, the fears, the joys and the strong family bonds that keep the family afloat during a dangerous flood. 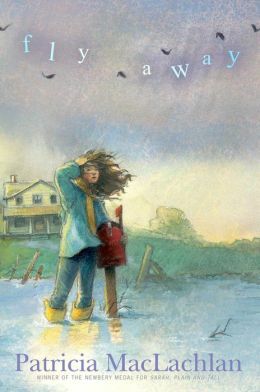 Fly Away is poetic and written simply for young readers wanting to read longer chapter books. The plot is engaging, well-paced and full of adventure. This is a great summer read and is 107 pages. Patricia MacLachlan is a Newberry Medalist for her book Sarah, Plain and Tall. I reviewed her powerful 2013 picture book about grief and renewal, Snowflakes Fall, which was dedicated to the families of Newtown and Sandy Hook, CT. 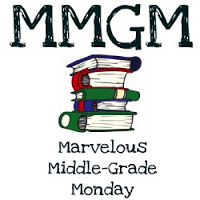 I also reviewed The Truth of Me, another middle grade novel about complicated family relationships. Synopsis: In Book 1, Gatsby was an art gallery cat who loved exploring famous paintings at night. One night his long tail twitched, his nose itched and his haunches hitched as he leaped into Winslow Homer’s Snap the Whip picture. He darted between the boy’s tripping and knocking four of them down. The boys chased Gatsby and he jumped out of the painting as the sun rose. Miss Annabelle was shocked to find the boys struggling to stand. Gatsby returned repeatedly to fix the painting, but each attempt ended in another cat-astrophe. Will Gatsby restore Homer’s painting so Miss Annabelle doesn’t think she has lost her mind? Synopsis: Ever since Gatsby leaped into his first painting, he wanted to visit another painting. When he discovered Renoir’s Apple Seller, his tail twitched, his whiskers itched and his haunches hitched. He jumped into the painting after absent-minded Miss Annabelle had gone to bed. The girls seated with the apple seller in the painting are excited to see a cat and stroked Gatsby’s head. When Jasper the dog barked at Gatsby, he ran and climbed up a tree. The girls caught their dog and Gatsby leaped out of the painting after the sun had risen. Oops! He looked back and the painting was a mess. There would be more trips to restore this picture. Poor Miss Annabelle. 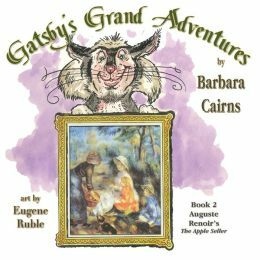 Why I like these books: Barbara Cairns books introduce children to art in a fun way. Both books combine art history and education with adventure and humor. 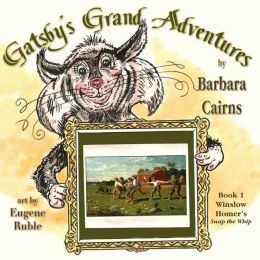 Children who enjoy animals and art will learn about an artist’s work through the adventures of a mischievous cat named Gatsby. His name suits him well because he is one cat with personality. I am sure there will be many more Gatsby adventures in this series. Eugene Ruble’s lovely pastel paintings are lively and colorful. He captures the essence of both famous artists with his own style. Resources: The author has provided information about Homer and Renoir in the back of the book, along with helpful websites for children. For activities check out a site Cairns suggested: Art Smarts 4 Kids. These books are a great way to introduce children to famous artwork before they visit an art gallery. Barbara Cairns is a former K-6 school teacher, a special education teacher for the deaf, and a retired elementary school principal. You can find interesting facts about Gatsby and cats on her website. Synopsis: A little girl living in Harlem in the 1950s has a dream of becoming a ballerina. Her mama works all day long and some times into the night for the ballet school, cleaning and stitching costumes for dancers. The girl spends a lot of time around costume fittings and rehearsals, watching every move and practicing in the wings. One day the Ballet Master sees her talent and arranges for her join the lessons, even though she can’t perform onstage with white girls. When the first African-American prima ballerina Janet Collins performs at the Metropolitan Opera House, the aspiring dancer and her mother attend. The girl is inspired and realizes that she doesn’t need to wish on stars in the sky because dreams are possible. 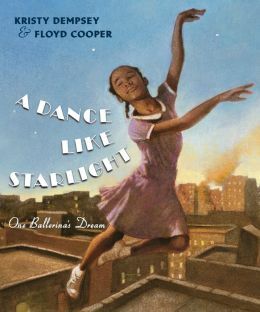 Why I like this book: This book is a keeper for any child who has a dream of becoming a dancer, musician or artist. Kristy Dempsey ‘s lyrical text is so beautiful with lines like “It’s like Miss Collins is dancing for me, only for me showing me who I can be,” and “You don’t need stars in the sky to make your dreams come true.” Janet Collins inspires the dreams of young ballerinas everywhere, showing them that talent and hard work, not the color of their skin, lead to success. 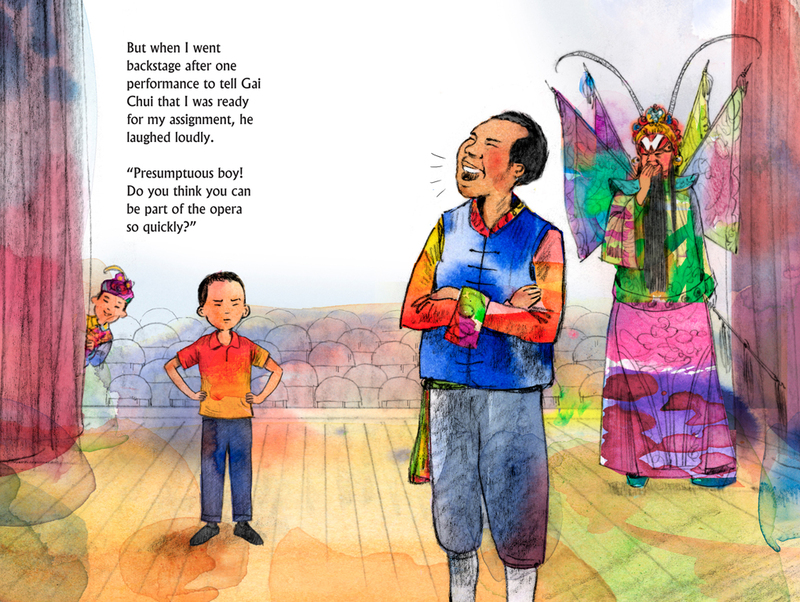 Floyd Cooper’s lively and passionate illustrations are painted in hues of brown and pink and beautifully capture the child’s dream of dancing on the stage. Resources: There is an author’s note at the end of the book. One interesting note, Janet Collins danced at the Met four years before singer Marian Anderson made her debut. Visit Kristy Dempsey’s website. This is a good book to pair with When Marian Sang by Pamela Munoz Ryan and Josephine by Patricia Hruby Powell during black history month.